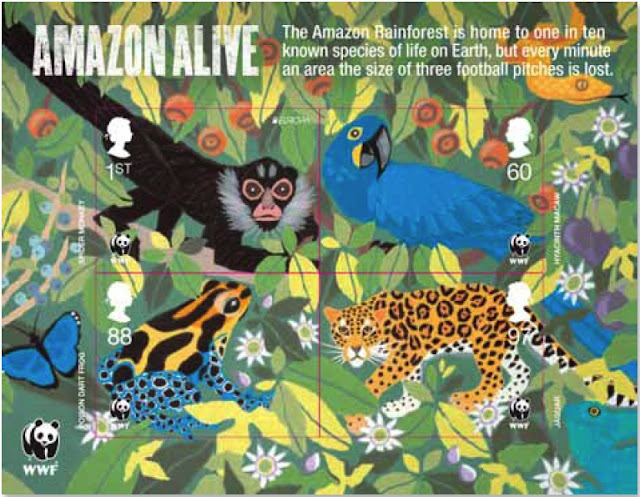 Royal Mail is issuing a set of stamps, miniature sheet and prestige stamp book to commemorate the 50th Anniversary of WWF – the Worldwide Fund for Nature. Forests are the Post Europ theme for 2011 so the WWF Miniature Sheet depicts the Amazon Rainforest where the WWF are involved in a number of projects to protect and conserve the forest and its plants and animals. 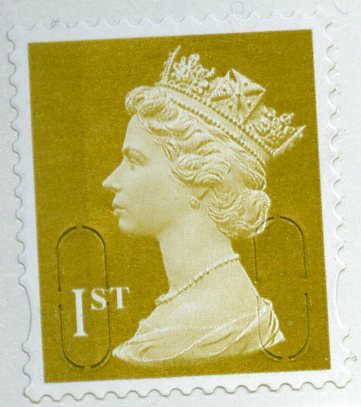 The 1st Class stamp will bear the Post Europ logo in addition to the WWF logo. 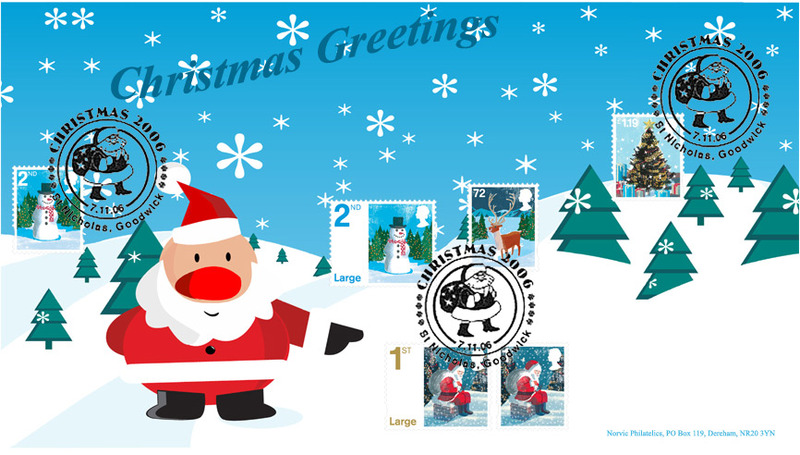 Other products include a Prestige Stamp Book, presentation pack, first day covers, stamp cards, and a coin cover. 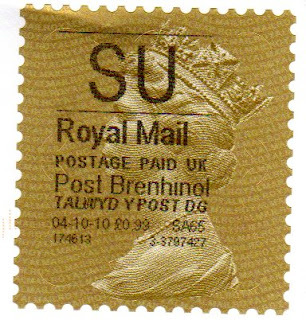 Full details, eventually including special postmarks, will appear on our website. This time last year I was wary of blogging! Now I'm glad I took the advice and started this way of distributing news. With 49 registered followers and many more readers I think we can say it has been a success. That success has been in no small part to the people who have continued to supply us with information and images, and in particular I'd like to thank Alec Withell for supplying news and early images of the MA10 security Machins, and Richard Parsons for scanning others that I could not! Thanks also to Larry and Roy on Machin Mania the cross-exchange of information is vital, and everybody who has contributed by leaving comments on these posts. The picture shows Dereham Market Place in 1906. The buildings have changed - one of those shown was the Post Office - but just lately the weather has been very similar, as it has been for many of us in the UK. Back on 8th December the British Postal Museum and Archive announced the sale of an extra souvenir from the London 2010 Festival of Stamps. Copies of the PUC £1 were printed at London's Guildhall by Enschede representatives on an antique printing press. The whole process was very interesting, and we wondered what would happen to the many examples printed in blue by this special hand-printing process. Well, now we know. Just 50 blocks of 4, printed in blue, were made available at a price of £50 each. The website originally indicated that advance reservations could be made and that there was a limit of 2 per customer. But the 'rules' were changed more than once, and I was told that anybody wanting to buy must ring on Monday 13th December at 9am, and the limit was one per customer. But some people who phoned in the week before that Monday were able to order and pay for 2 copies in one transaction - and they have received them! I think that the BPMA needs to think carefully about how they market any future limited editions to ensure fairness to collectors around the world. Security Machins with no overprint - source unknown. Recently found in kiloware are some strange 1st class stamps with security slits but no overprint. This might be classed as a missing colour, certainly it would seem to indicate that one cylinder was either absent or uninked. We know from previous experiments that it is impossible to remove one ink layer without removing them all. 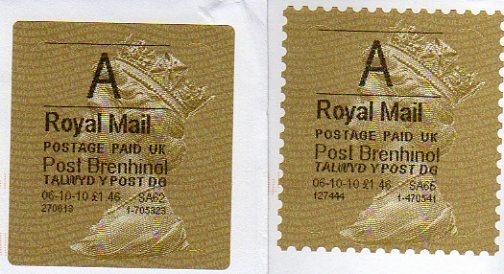 These have not been found unused, the one shown above (thanks again, Richard), is from kiloware where so many uncancelled stamps are found. (Some cancelled examples were also found!) Richard suggests from the perforations and security slits that this is from a Walsall booklet - but whether a booklet of 12, or 6, or a mixed booklet, and whether one with or without the printer's imprint is impossible to tell until somebody finds one in situ in a post office or other retail outlet. So if you do find one like this in original mint condition, please let us know, because we are keen to not only see it and report it, but we have a number of contacts who would like to own one of these. The Machin Mania blog recently reported the sad news of the death of well-known Machin dealer Mike Holt. Mike's wife, Sue, has now written to say that the Mike Holt business will continue. We join with collectors and dealers in passing on our condolences to Sue and Mike's friends and family. As promised, and thanks to Richard's skills with his scanner, we can now show the first 2011 Machin security code. 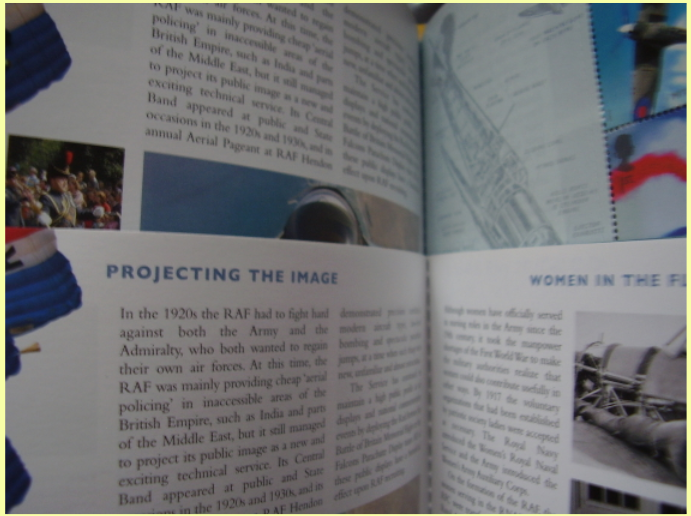 The Thunderbirds mixed booklet has M11L at top left, and MCIL at top right. Like all booklets of 6 these should see early and widespread use and should be found on mail and in kiloware by the end of January. 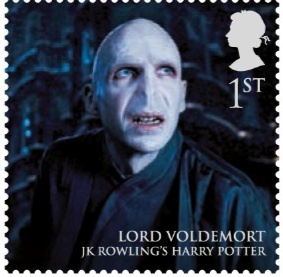 Royal Mail have released details of the Magical Realms stamps to be issued in March 2011. Originally with a working title of "Magical Heroes and Villains' the set is now 'Magical Realms', possibly because of some confusion over whether some characters were actually villains. 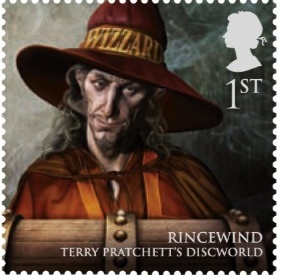 The set of 8 includes characters from Harry Potter, Arthurian Legend, Narnia and Discworld. This is sure to be a popular set! See the whole set on our webpage. You'll have to take my word for it until Richard sends me an image from his scanner, which is cleverer than mine (mine will only focus on the glass). 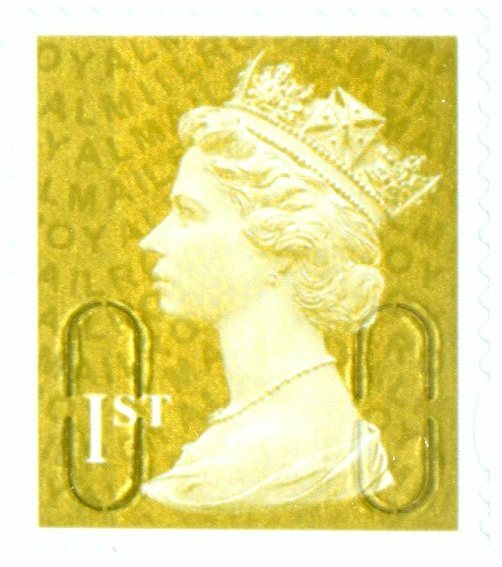 Where MA10 was this year, in front of the Queen's forehead, has reverted to MAIL, and MCIL remains in the top right corner. 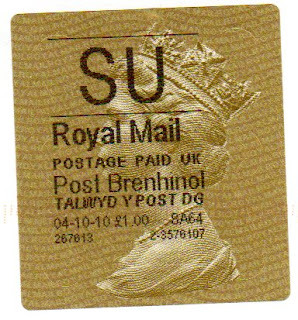 The packing date is 04/11/10 and the barcode 5 014721 127798. The flaw is not composed of any single colour from the CMYK group, and seems to be partly a mix of yellow and black, and partly of cyan and black. It could be a 'foreign body' in the print - it isn't a 'foreign body' on the stamp itself. 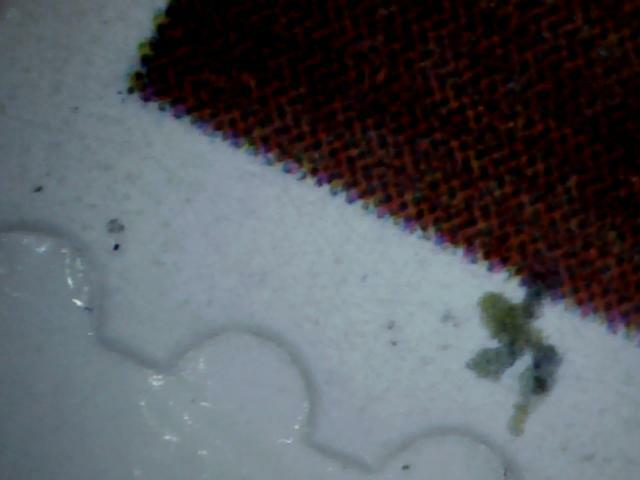 Has anybody seen anything similar on this set or others, or any explanation of this flaw. Let us know by using the Comment faclity! 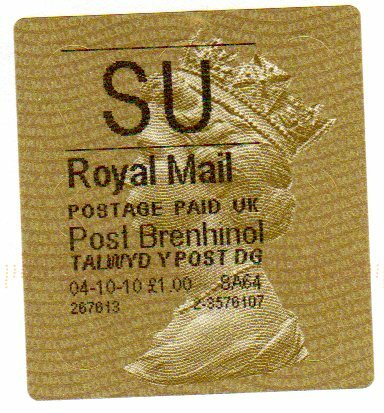 When the first tranche of security stamps was issued in 2009 it was quite easy to make them available in our online shop - though even then some Gibbons catalogue numbers have since been changed. With the 2010 versions stuttering out in groups or singly, allocating numbers in our stock was erratic. And some people found some of their own, so needing 'sets' to be broken. 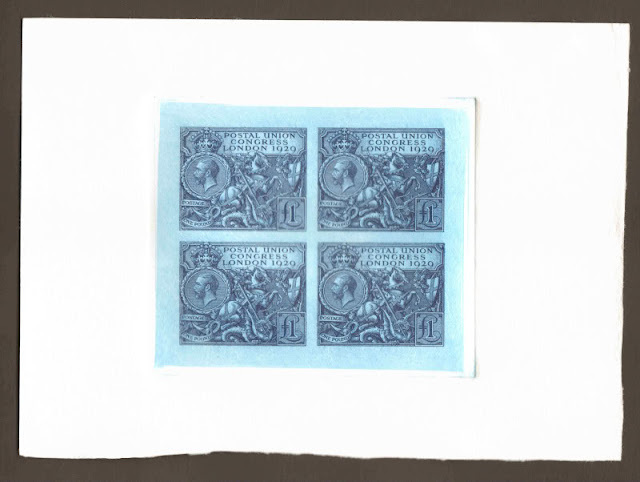 By mid-2011 with the publication of Stanley Gibbons Concise catalogue, which had new numbers for most of the security stamps, our number allocation was changed once again - our new permanent numbering system is shown in this blogpost. 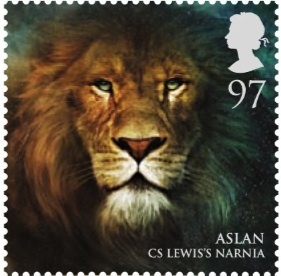 Details of the February 2011 stamp issues have now been announced. On 1 February the first in a series of miniature sheets showing Classic Railway Locomotives will be issued, this one for locos which operated in England. Details of the locos, etc, on our website. 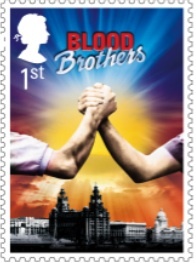 Later in the month we have the postponed-from-autumn-2010 'London Stage Musicals', which is now only 8 stamps, not 6 plus a miniature sheet which was suggested last year. One can only guess at the reason for the postponement and change, but I note that no Andrew Lloyd Webber musicals are included. 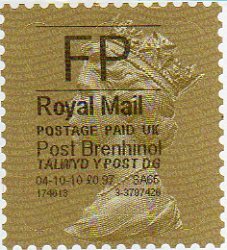 Full details and images on our website, including the multitude of copyright holders who will have to be approached by any FDC producers and postmark designers wanting to have their designs relevant to the stamp images. 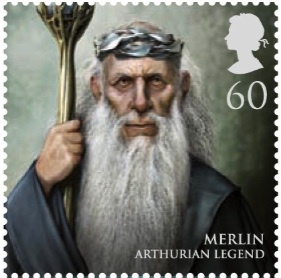 What do you think of these stamp designs, and is it right to include commercial activities like these and Harry Potter on our stamps? Let us know - leave a comment. We're off! First Christmas Slogan received today! 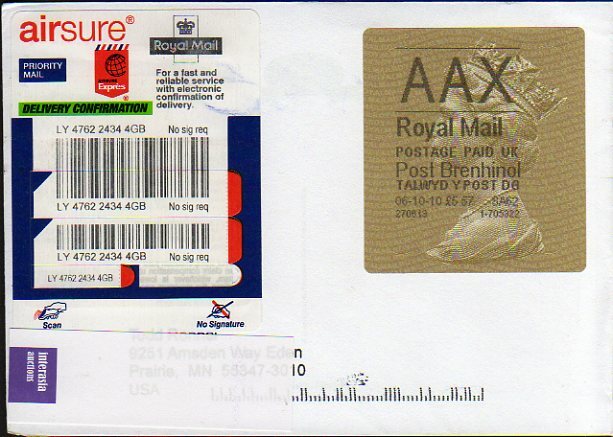 Christmas has arrived in the form of the first slogan postmark in our mail. 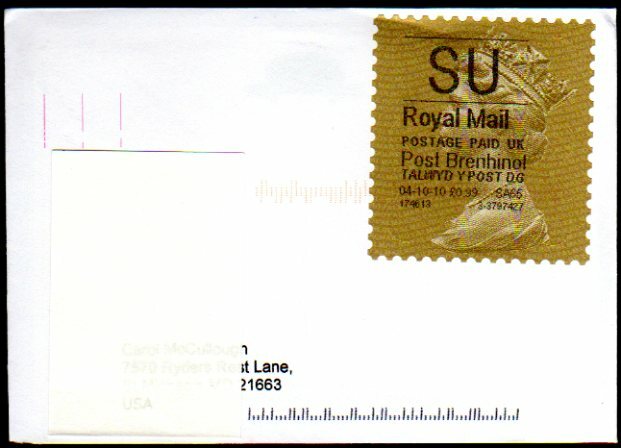 Posted by a customer in Swanley, Kent, the postmark location is unknown and the date slug is inverted! But the Snowman is clear and has made a good impression! 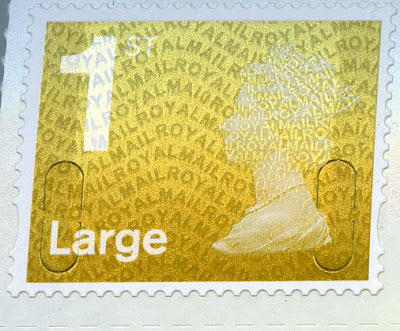 We have received a report that the 1st class Large stamp from counter sheets, with MA10 code has been found in Devon. 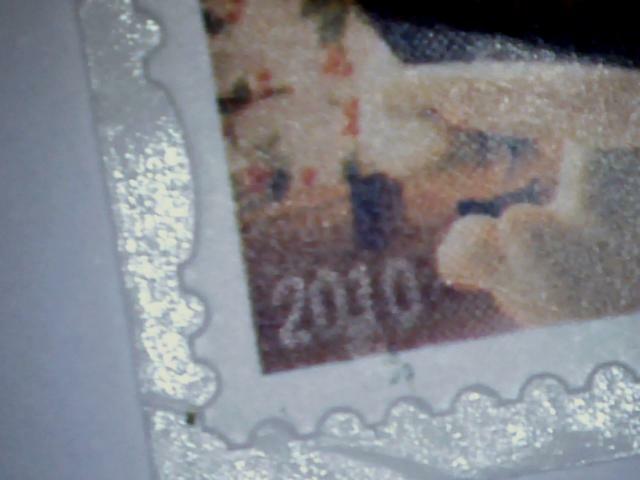 See the summary of earlier MA10 stamps here. We now have the picture (thanks, Richard) and limited stocks which we are offering to existing customers first. As soon as we have sufficient stock this will be added our online store. The December issue of Stamp Magazine reports that the second Birds Faststamps set will only be sold from the same 30 Post & Go machines that the first set was sold from. I'm awaiting confirmation. Update: A Post Office Ltd spokesman has now confirmed that only the same 30 (+ Ludgate Circus presumably) will dispense the birds in January. All these covers are from the January 2010 'Classic Album Covers' stamp set, which was our biggest seller of all time. First up, BBC Radio 1 DJ, Annie Nightingale! 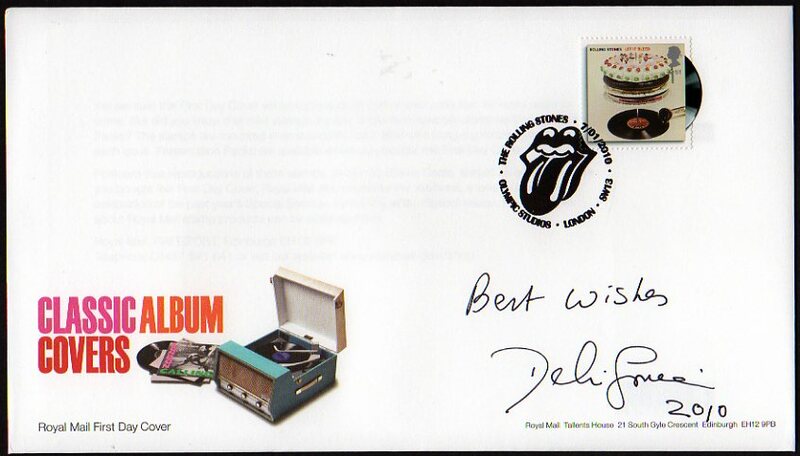 Glastonbury postmark. All these covers will be auction on eBay with proceeds from the sale of the first covers going to Children in Need. 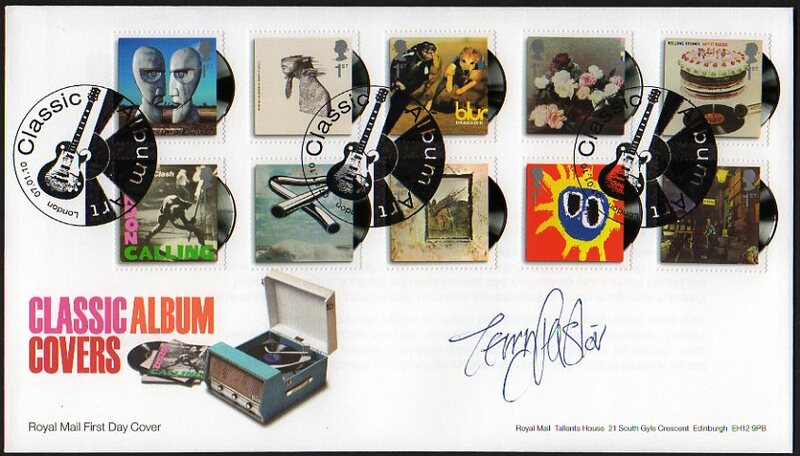 Royal Mail is doing it's part with this slogan postmark being applied by many ink-jet machines, and we are doing our part with the auction of some autographed first day covers for which we are very grateful to the people who have signed. First up, BBC Radio 1 DJ, Annie Nightingale! According to her profile, "She has been on the road with some of the world’s most notorious rock bands such as Primal Scream, The Who and The Rolling Stones, was once ship’s DJ on the QE2, and motor raced at Silverstone and Brand’s Hatch as part of a Radio 1 racing team." She's also made several appearances at Glastonbury, so this FD postmark is appropriate. 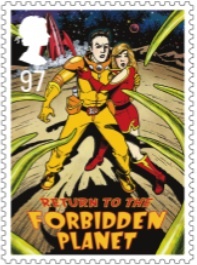 Next, Terry Pastor, who designed the David Bowie 'Ziggy Stardust' album sleeve and who now has the Bowie stamp on his home page! 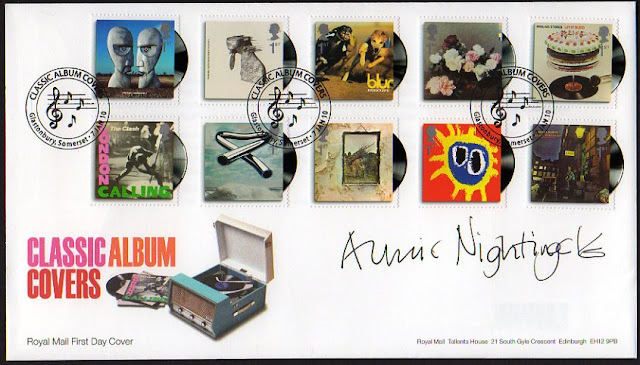 We've got the London "Classic Album Art' postmark on these covers. All these covers will be auction on eBay with proceeds from the sale of the first four covers going to Children in Need. Cancer Research UK will benefit from the sale of the second batch of covers. Keep watching for a further announcement when the auctions are live.